Kat is the offspring of a thieving family, and she’s one of the best and youngest thieves in the world. She has decided to step out of the family business and have a sort of regular life, until her father gets suspected of a crime he didn’t commit. 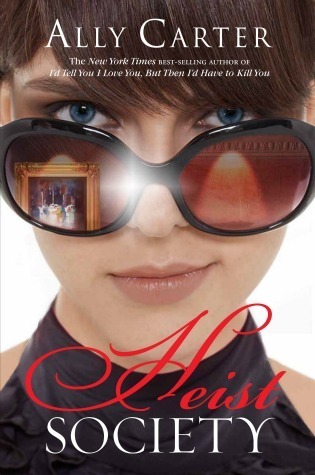 Heist Society is like Ocean’s Eleven in book form. It doesn’t make any logic sense, but it’s just so damn cool. Don’t we all sometimes wish we had such awesome thieving skills? That we climb through air vents and act all Mission Impossible? Heist Society uses that fascination and provides some good old wish-fulfilling fun. Ms Carter has an easy and straight to the point writing style. 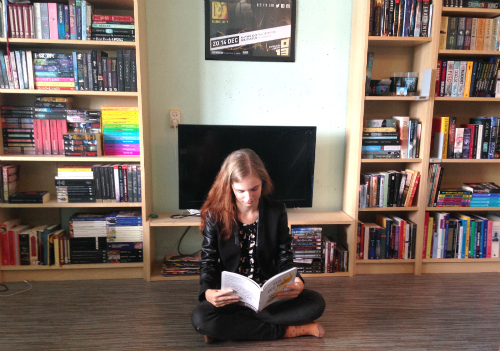 The strength of the book is the plot that runs like well-oiled clockwork. There are no scenes that could have been cut out, or moments that bring the speed down. Days till deadline steadily tick away, heightening excitement. It’s so easy to read this book in just one sitting because you really feel like you’re moving towards something. The thieving family provides the usual comic relief and internal struggles. Kat especially struggles with the older generation (her uncle and father), and feels torn between being with her family and having a normal life. There is also some romantic tension going on with billionaire-gone-thief Hale. My only problem with Heist Society was that the story wasn’t memorable for me. Even minutes after finishing, the story started to fade. There was no lasting impression of it at all, even though I really enjoyed myself while reading it. Heist Society is perfect for an afternoon of fun, but I’m not yet fully convinced to love the characters. Maybe the next book, Uncommon Criminals will remedy that.